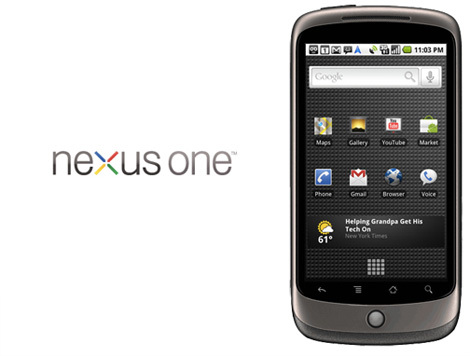 Back when the Nexus One was released through Google’s phone store in January, there were immediate rumors of a Nexus Two / Droid 2 combo device in the works. Well we now know that Droid 2 is only a month away and definitely has nothing to do with a new Nexus device, but we still haven’t heard a peep from Google on a possible follow-up to their initial developer release. Until now anyway. So no Nexus Two? For some reason I’m having a hard time completely buying into that. With 4G networks on the rise, why would Google not want to make an unlocked 4G version to act as the next ultimate Android developer device? Plus, it just feels like they might want to take another stab at the phone sales business and redeem themselves after that first lukewarm try. *Side note* – If you are wondering why we cover Nexus One chatter, it’s simply because it is the one Android device that leads the way when we start talking OS updates. When the N1 sees some OTA fun, it’s a pretty good indication that our beloved Droid 1 is next.